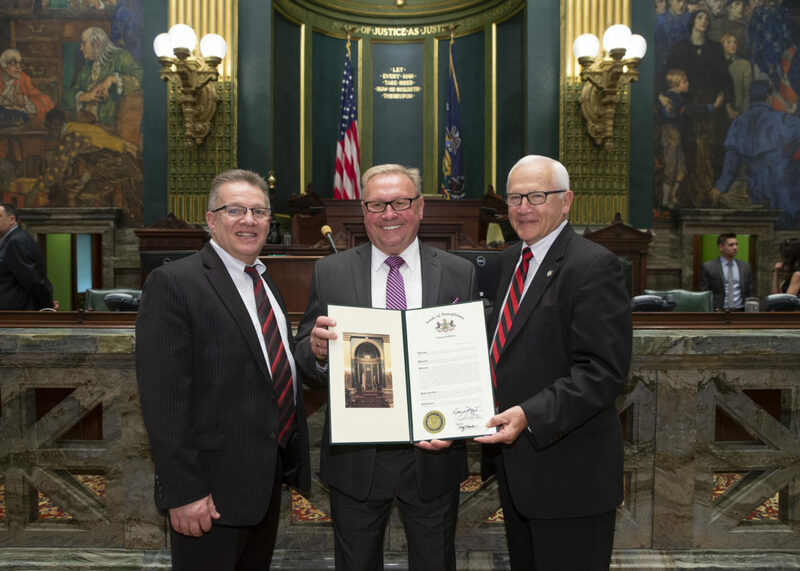 HARRISBURG – Loyalsock Township High School Boys’ Basketball Coach Ron “CI” Insinger was honored on the floor of the Pennsylvania state Senate Tuesday for his distinguished career as a high school coach and teacher, according to Sen. Gene Yaw (R-23). Coach Insinger became the first coach in Pennsylvania history to amass 1,000 career high school victories when the Loyalsock Lancers defeated Hughesville earlier this year. 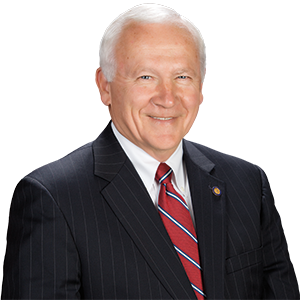 Born and raised in Sullivan County, Insinger graduated with a degree from Lock Haven University in 1973. In 1974, he made his debut at Loyalsock when he was hired to teach Health & Physical Education and begin his coaching career. In 1977, he obtained a Master’s Degree in Education from Pennsylvania State University. Additionally, he has been inducted into the Lycoming County Sports Hall of Fame, Pennsylvania Sports Hall of Fame and the Pennsylvania Basketball Hall of Fame. 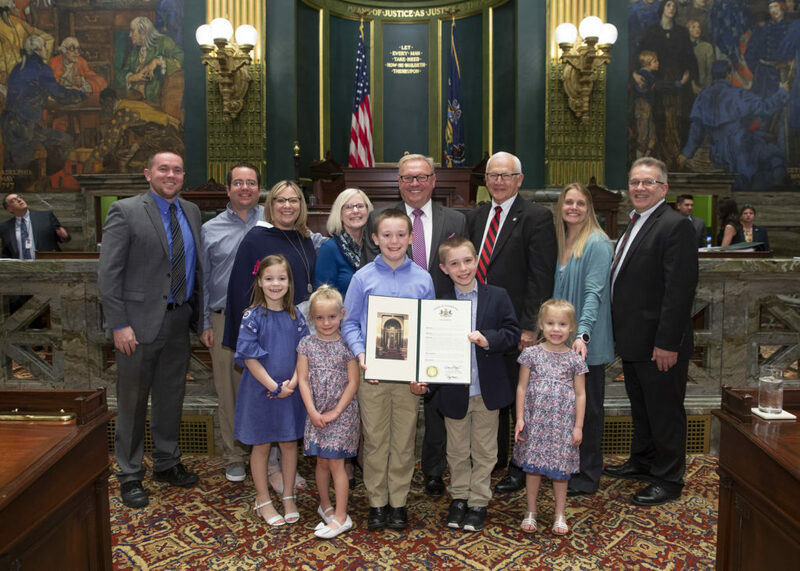 Insinger was joined by his family, Assistant Loyalsock Coach Jeff Everett & School Superintendent Gerald L. McLaughlin in the Senate Chamber during the Senate recognition. Coach Insinger was also recognized by state Rep. Jeff Wheeland during his visit to the Capitol Building. For more state-related news and information, visit Senator Yaw’s website at www.SenatorGeneYaw.com or on Facebook and Twitter @SenatorGeneYaw. State Sen. Gene Yaw today honored Loyalsock Twp. Boys’ Basketball Coach Ron Insinger at the State Capitol. Pictured with Senator Yaw are Coach Insinger and his family in the Senate Chamber. State Sen. Gene Yaw today honored Loyalsock Twp. Boys’ Basketball Coach Ron Insinger at the State Capitol. 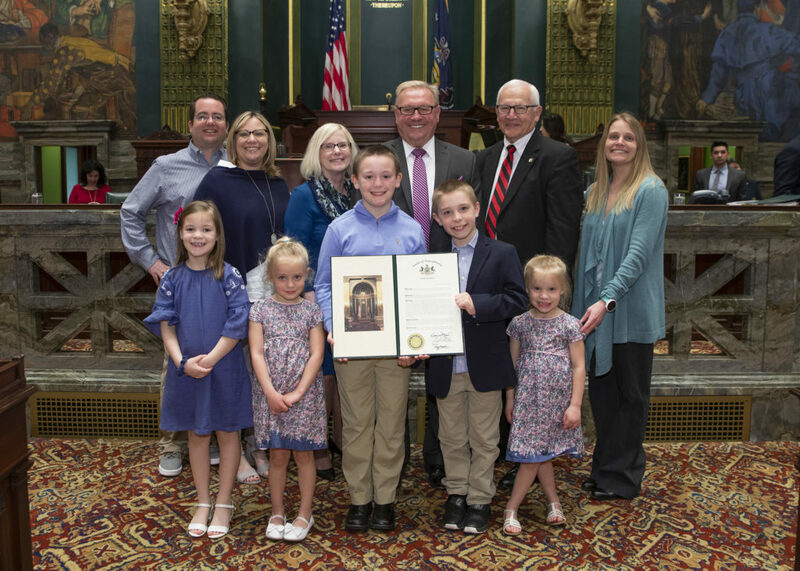 Joining Coach Insinger in the Senate Chamber is his wife, Carol Insinger; daughter Laurie Emery; son-in-law Ron Emery; daughter Lisa Walter; grandchildren Kayla Emery, Ronnie Emery, Grant Walter, Carolyn Walter and Kasey Walter. Also pictured with Coach Insinger and his family are Assistant Loyalsock Coach Jeff Everett & School Superintendent Gerry McLaughlin. State Sen. Gene Yaw today honored Loyalsock Twp. Boys’ Basketball Coach Ron Insinger at the State Capitol. Pictured L to R: Gerald McLaughlin, Superintendent, Loyalsock Township School District, Coach Ron Insinger, Senator Yaw.